Changes in weather are best reflected in the annual season of monsoon. Now, a team of Indian researchers has recreated a continuous history of the Indian monsoon, providing new insights into forces governing it. After the 2013 floods in Kedarnath, Wadia Institute of Himalayan Geology (WIHG) was given the task of assessing the damage and mapping the landscape. During one such expedition, Pradeep Srivastava, a scientist at the institute, found a mound of five-metre thick peat sitting atop a glacial deposit, just a few metres from the Kedarnath temple. “Peat is dark coloured decaying remains of vegetation,” explains Srivastava. “Examining the vegetation history can give us a tangential idea about the climate conditions prevalent at that time,” he adds. As he had himself dated the glacier in 2010, he was sure that remains were younger than the glacier which is 10,000 years old. This period is very important in the context of human settlements and expansion of human activities. So Srivastava collaborated with experts from four other institutes to decipher weather clues hidden in the peat. Together, they collected 129 peat samples and analysed them for magnetic minerals, pollens from conifers or broadleaf plants and the amount of stable carbon and nitrogen isotopes. When the climate is warmer and wetter, more broadleaf plants grow in the area, photosynthesis is heightened and soil microbes become active so there is ample carbon fixation in plants and nitrogen fixation in the soil. On the other hand, when the climate is drier and colder, rocks undergo freeze-thaw cycles and move towards the basin making peats rich in magnetic minerals. Using these parameters the researchers constructed a climate history of the region dating back to 8000 years. Their data contains evidence for all major events that have been documented in the past including the medieval climatic anomaly and the little ice age. Hardly any other models have been able to do so. “Because Kedarnath lies at the extreme north end of the monsoon range, the rainfall in this area is impacted by even minor weather fluctuations across the globe,” said Srivastava. To understand the forces affecting these fluctuations, researchers compared their model with other weather systems. El Nino Southern Oscillations (ENSO) is believed to affect Indian monsoons. 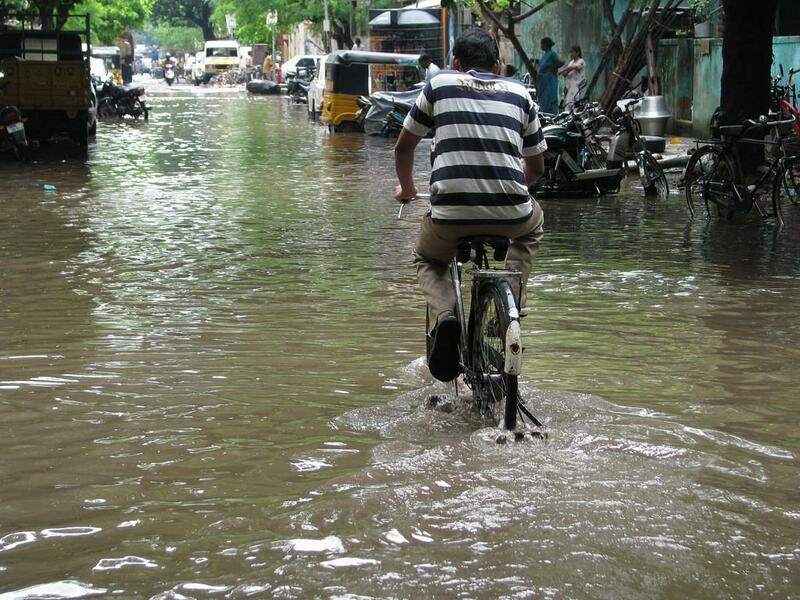 But the study reveals that apart from ENSO, the North Atlantic system which contains one of the best-preserved weather repositories in the Northern hemisphere, also impacts the Indian monsoon. Current meteorological data supports this finding but Srivastava’s model shows that this connection has existed since ancient times. Whenever the Northern Atlantic became warmer, the Indian monsoons became intense. Even though this connection has been proposed by earlier studies, it is the first time that a link has been established from within the Indian mainland using terrestrial geological features. Any dialogue on climate change has two components, the natural variation in weather and changes imparted by human activities. Geologists can contribute by unmasking climatic history, which together with economic factors, can provide better understanding of the phenomena.